Fire ants are notoriously nasty little bugs, using their noxious venom to sting other insects to death and sting humans into severe pain and irritation. 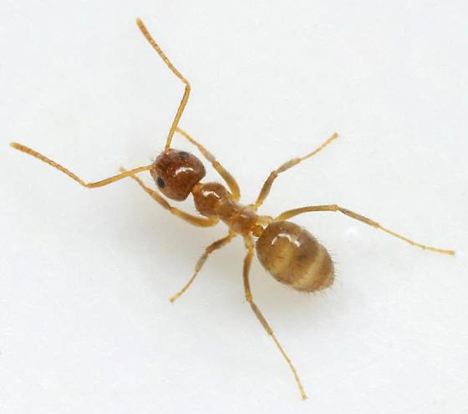 But the tawny crazy ant, an invasive species of ant quickly spreading over the US Gulf Coast area, has a secret weapon that perfectly defeats the fire ants’ offense. 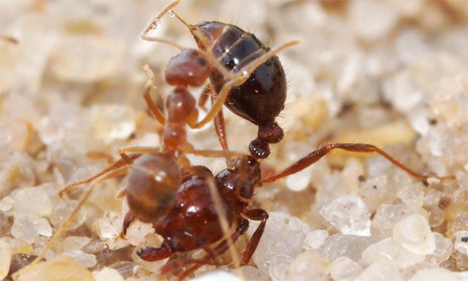 The tawny crazy ants secrete a substance that neutralizes the fire ants’ deadly venom. Fire ant venom is chemically a base, while the crazy ants’ venom is an acid which cancels out the fire ants’ poison. What’s even cooler, though, is that the mixture of these two liquids creates something called an ionic liquid. Humans have been creating these odd viscous substances for a long time, but they have never before been observed in nature. In a paper published in the German chemistry journal Angewandte Chemie, researchers postulate that this may not be the only instance of natural viscous liquids. The human-made variety is more or less liquid salt and is used extensively in batteries, solvents, sealants, and a wide variety of other applications. Finding a biological source of the material could prove endlessly useful for creating these and other materials without the need for a manufacturing process.